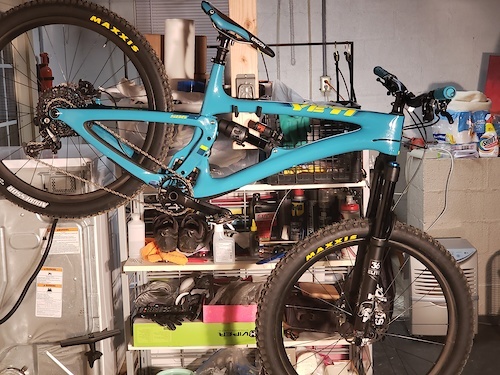 I just purchased this on eBay to build up, but the IRS was not kind to me this year. This is a brand new warranty replacement frame, no components have ever been installed. 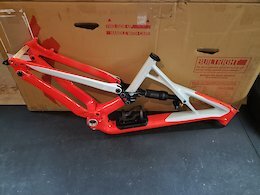 Frame and rear shock only and seat collar, no BB or headset or rear axle. 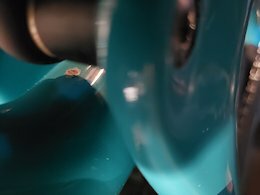 I ordered the downtube protector from my lbs but it hasn't arrived yet but it will be included. 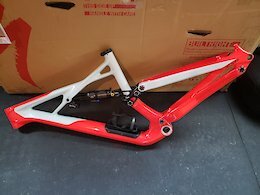 This is the same full carbon frame as a S-works, 11m. It does not come with a warranty. Buyer will be shipper and will pay PayPal fees. It will ship in the specialized box that it came in. 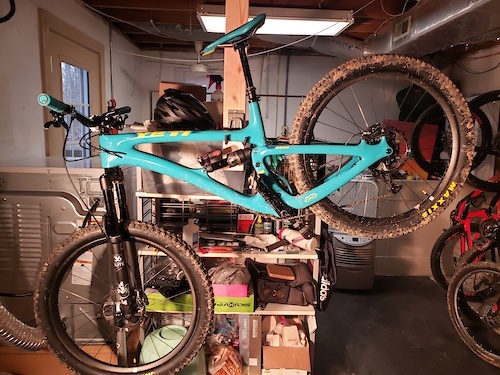 2019 Yeti SB6 Turq frame 2018 Fox X2 Performance shock Will also throw in 2015 fox ctd shock as a backup Includes Fox Performance dropper with Fox remote Yeti Ergon saddle BB, sram x1 crank and wolftooth oval chainring CaneCreek headset Frame is in excellent condition with only a couple of tiny nicks. 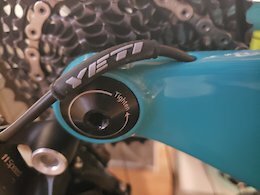 Will also throw in some yeti ergon grips. 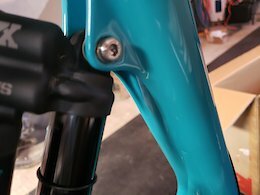 Reason I'm selling is I'm going back to a specialized, can't live without my swat storage and can't handle the bottle cage on the underside of downtube. 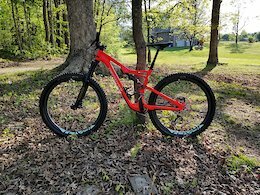 Would sell as complete bike for $4500 Has xt brakes, sram 1x11, Renthal cockpit. Would come with Roval Traverse SL carbon rims 30mm inner diameter, they are not boost but I have the adapters to make them work. Buyer will be shipper and pay PayPal fees.